Could you wear just six pieces of clothing for four weeks? I don't know if I could, so I'm about to find out. I'm issuing a Mindful Consumption Challenge: 6 for 4 this May, and I hope you'll join me. The goal? To reduce impulse purchases. The 2014 6 for 4 Challenge has ended. Join the 2015 8 for 4 Challenge! I bet you have clothes in your closet you've never worn. I do. Even after I took Style and Styleability with Hilary Rushford this past October where we identified and cleaned out items we'd purchased and never worn. Even after participating in numerous Style Me Instagram Challenges that have me digging deep into my wardrobe to create an outfit matching a day's prompt. It's hard not to buy new things. We have lots of reasons, from an "oh shiny" reaction to something that catches our eye to making ourselves feel better when we're stressed or disappointed. I've decided to really focus on my wardrobe in May. How? By deciding only to wear six items for four weeks, from Sunday May 4th through Saturday May 31st. I'm going to pick six coordinating items from which I can style a variety of outfits, for example, three tops, a skirt, a pair of pants, and a dress or a dress, a skirt, a pair of pants, a pair of jeans, a top, and a cardigan. For those already mindfully consuming fashion, choose six items that are locally produced or if produced overseas are made under Fair Trade or Living Wage conditions, vintage, or scored at a swap or thrift store, or use sustainable materials. IMPORTANT: Because this challenge is about changing how we consume fashion, the six items you chose should come from your closet. If you don't have any items that are made your country or produced under Fair Trade or Living Wage conditions, you can still participate. Certain items are excluded from the challenge, meaning their wear doesn't count against your six items: underwear, socks, shoes, pajamas, accessories, and coats. Yoga or gym clothes when worn to work out are also unlimited. Uniforms for work are also excluded as you don't have a choice there. Every challenge needs to have a what's in it for me or WIIF Me. The simple WIIF Me is this: you'll immediately save money you don't realize you're spending. By buying fewer clothing items, you can pay down debt, invest in your business, or save for that dream vacation you never thought you could afford. While you're seeing a personal benefit from the challenge, if enough consumers became more mindful, we could change the world. 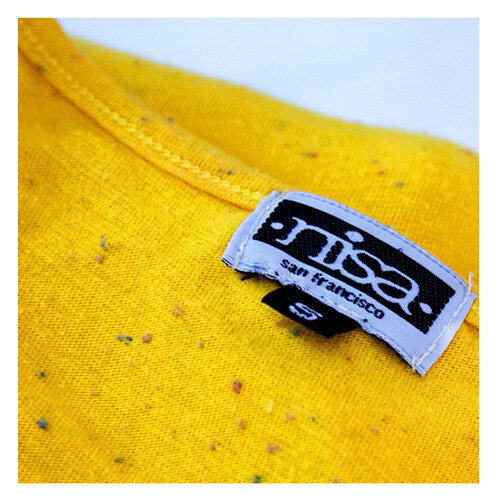 to change how fashion is made from what's in it to how people making it are treated and paid. I recently stumbled across a Made in USA Six Item Challenge (site now offline) at its completion. I was impressed that Sarah had successfully worn just six items. I dug a little deeper and found out that the 2014 Six Items Challenge was started out of the UK by Labour Behind the Label (site now offline). 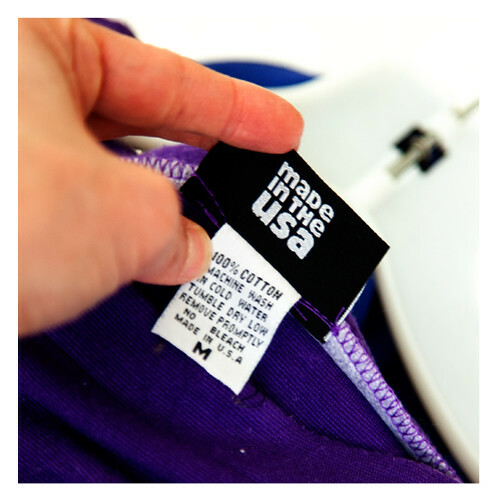 The purpose of the various challenges is to make us think about how many items of clothing we really need and to consider how the items we're buying are made (not just from how the materials are sourced, but, also how the seamstresses making the items are treated and paid). Between 1999 and 2009 the volume of Post-Consumer Textile Waste (PCTW) in the U.S. generated grew by 40% while the diversion rate (clothing donated or recycled) increased by 2%. 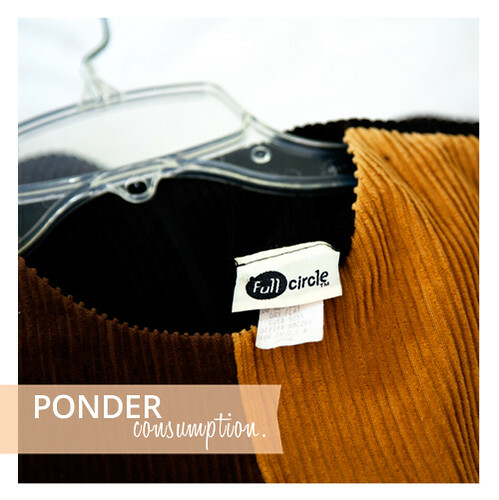 In 2009, we generated 25.46 billion pounds of PCTW and we're projected to generate 35.4 billion pounds in 2019 if we don't change our fashion consumption behaviors (Source: Council for Textile Recycling). Tips: If including the 8 for 4 Mindful Consumption Challenge Pledge or guidelines on your blog or website, link participants back to the 2015 8 for 4 Challenge post. The URL for the 8 for 4 Mindful Consumption Challenge post is: http://www.theroadtothegoodlife.com/2015/04/8for4Challenge.html.